The moment, when it happened, felt routine to American slopestyle skier Gus Kenworthy, who along with figure skater Adam Rippon is the only openly gay male Winter Olympian to ever compete for the United States. Matthew Wilkas, Kenworthy’s boyfriend, gave Kenworthy a good-luck kiss before a qualifying run on Sunday in South Korea. “That was like a peck,” Wilkas, who wore a “USGay” t-shirt to the event, tells TIME afterwards from the bottom of the slopestyle course at the Phoenix Snow Park. 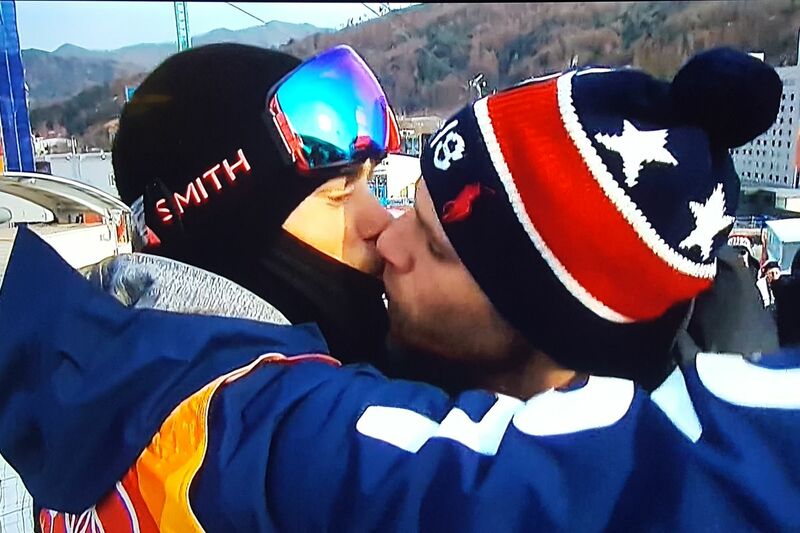 “We should have made out in front of people.” Kenworthy didn’t know the TV cameras caught it, but they did: NBC beamed the kiss into living rooms across the country, setting off a blaze of social media reactions.